Switching up your eating habits can be a challenge. 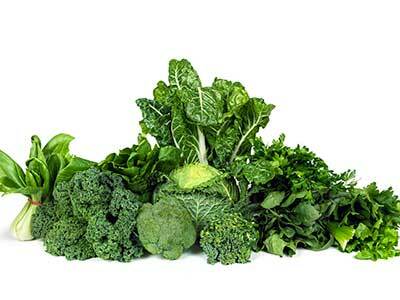 The regenerative diet is a lifestyle choice that can help you lose weight while eating healthy food. 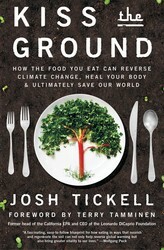 Josh Tickell, author of KISS THE GROUND, explains how this health plan can work wonders for you and your body. Soil is the foundation of our civilization. If we regenerate it, we create the basis for healthy food for ourselves and for the generations to come. Agriculture drives how we treat soil. Thus, in order to regenerate soil, we need to build a new, safe, and sane food system. This “regenerative revolution” aims to disrupt the status quo by combining these three components. The revolution I am speaking of is peaceful, open-sourced, and decentralized. To join this revolution, you don’t need a badge, a pin, a membership card, or a secret hand- shake. There are no fees, no dues, and no rules of order. In fact, you can participate silently without telling anyone. That’s because, above all else, what we put in our mouths will drive the principles of regenerative agriculture on a local, national, or international level. Sequestering carbon dioxide into soil, reversing desertification, deacidifying our oceans and ensuring the survival of the oxygen-producing phytoplankton, creating a healthy food system that prioritizes a fresh and diverse diet over commodity bulk, incentivizing the humane treatment of animals—all these things are matters of our daily food choices. Herein lies a watershed moment for our culture. The ultimate “diet” that America has been seeking for the better part of half a century is finally here. Enter: the regenerative diet. But unlike a dieting fad, this is a lifestyle, a commitment not just to a better waistline but also to a better tomorrow. Yes, you can have the health and vitality you want, you can lose those extra pounds, and you can save the world just by a conscious, deliberate, and slow shift away from repackaged commodity bulk. For more tips on how to join the regenerative revolution pick up a copy of KISS THE GROUND by Josh Tickell! Excerpted from Kiss the Ground by Josh Tickell. Copyright © 2018 by Josh Tickell. Used by permission of the publisher. All rights reserved. 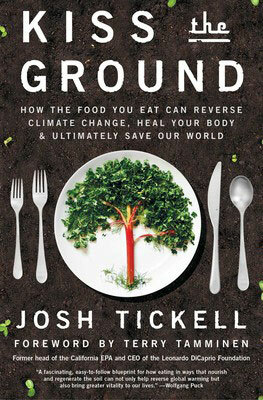 From Josh Tickell, one of America’s most celebrated documentary filmmakers, comes a “fascinating, easy-to-follow blueprint for how eating in ways that nourish and regenerate the soil can not only help reverse global warming, but also bring greater vitality to our lives” (Wolfgang Puck). “A must read for anyone committed to healing our bodies and our Earth” (Deepak Chopra), Kiss the Ground explains an incredible truth: by changing our diets to a soil-nourishing, regenerative agriculture diet, we can reverse global warming, harvest healthy, abundant food, and eliminate the poisonous substances that are harming our children, pets, bodies, and ultimately our planet. This “richly visual” (Kirkus Reviews) look at the impact of an underappreciated but essential resource—the very ground that feeds us—features fascinating and accessible interviews with celebrity chefs, ranchers, farmers, and top scientists. Kiss the Ground teaches you how to become an agent in humanity’s single most important and time-sensitive mission: reverse climate change and effectively save the world—all through the choices you make in how and what to eat. Also a full-length documentary executive produced by Leonardo DiCaprio and narrated by Woody Harrelson, “Kiss the Ground both informs and inspires” (Marianne Williamson, #1 New York Times bestselling author).